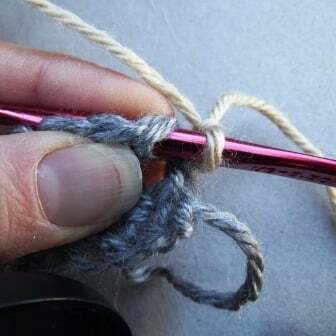 I first read about the knotless standing single crochet over at Mr. Micawber’s Recipe for Happiness when Mrs. Micawber demonstrated how to make the standing single crochet. 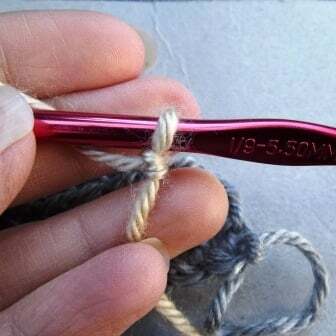 I basically skimmed over the tutorial and never thought that it might actually be a better or an easier solution to joining your new color to your existing crochet work. But then I saw a tutorial here on Moogly, which got me thinking ‘hey maybe I should try it’. It wasn’t until I saw it here on Petals to Picotswhen I finally decided to see for myself what the stitch was all about. Much to my surprise, the standing stitches are not only neater, but they are also a lot quicker and easier to make than to join your yarn with a slip stitch and then make your chains. 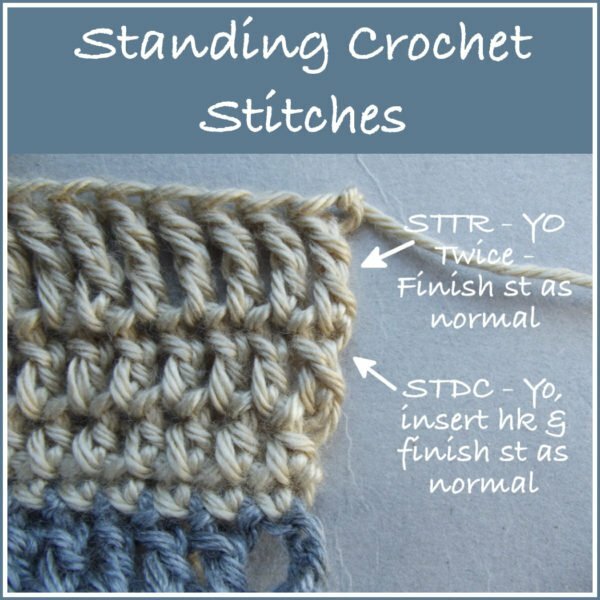 The standing stitches can be used anywhere where you would join a new color with a slip stitch and then make a few chains to the height of your stitches. 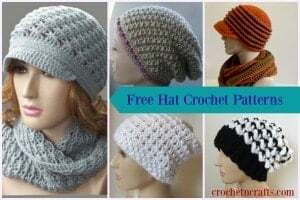 They can be used for single crochets, half, double, and triple crochet stitches. 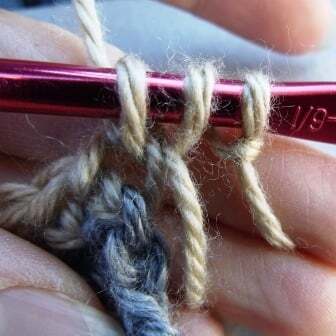 To make a standing stitch, start off with a slip knot on your hook, then work your stitch as normal. It’s that simple! 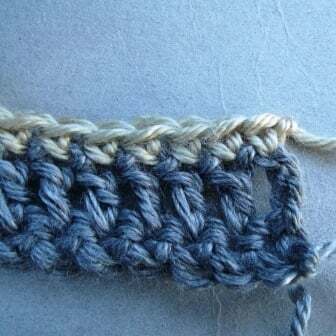 For a single crochet, simply insert your hook into the designated stitch, chain or space. Then finish the stitch as normal. 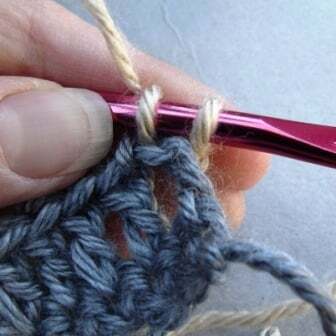 For the half double and double crochet stitches wrap the yarn over the hook once, insert the hook where specified and finish the stitch as normal. 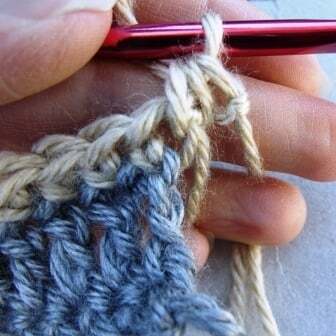 For triple crochets, wrap the yarn over twice and finish the stitch as normal. 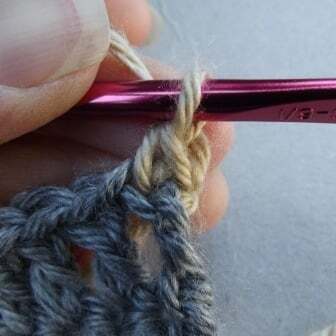 For triple trebles, wrap the yarn over three times and finish the stitch as normal, and so on. It’s so easy and efficient that I’m kicking myself for not trying this sooner. For the more visual learners, here are some photo tutorials showing a few stitches so you get the idea. Please note that I’m starting each stitch with a slip knot on my hook. 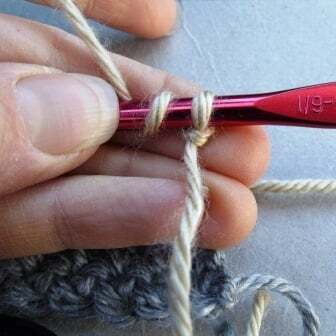 The tutorial on Moogly shows to just wrap the yarn over the hook instead of making a slip knot. You can do either one, but I prefer to start with a slip knot simply because it seems more secure. However, without the knot it’d probably be even neater! 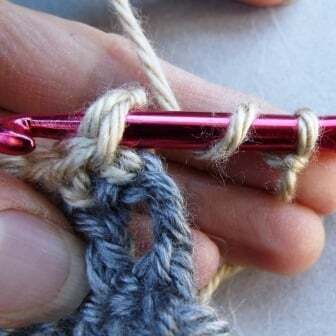 For Single Crochet – Insert your hook in stitch, loop or space. Then finish the stitch as normal. See how neat it is? Start off with a slip knot and wrap yarn over once. Insert your hook into stitch, loop or space. Wrap the yarn over and pull up a loop. Yarn over and pull through all three loops. Standing Half Double Crochet Stitch Complete.